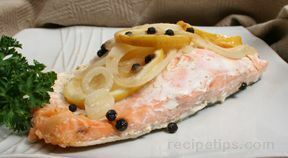 Place salmon skin side down in a shallow baking dish. Remove all bones. In a small bowl combine all marinade ingredients. Pour over salmon and marinate 1 hr in refrigerator. Brush the insides of a fish grilling basket with vegetable oil. 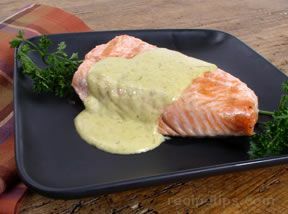 Remove salmon from marinade, reserve marinade. Place Salmon in basket and close securely. Grill salmon over hot coals turning once until opaque throughout, about 7 min per side. Baste with reserve marinade during cooking. Serve hot or cold. Alternately, you can cook salmon directly on oiled grill, turning once, still about 7 minutes per side.